John Fullbright's new album is From the Ground Up. Okemah, Okla. — the birthplace of Woody Guthrie — has another musical native son to call its own. John Fullbright's recordings mix folk, country and blues, and his lyrics often tackle big-picture topics. "I grew up with a lot of questions that couldn't really seem to be answered," Fullbright tells NPR's Rachel Martin. "Why are we here? Did some higher power make all of this? Did he make me? And songwriting is kind of your own voice, your strongest voice, that you can use to ask yourself those questions." Fullbright explores another voice in his song "Gawd Above." Sung from God's perspective, the song is rooted in biblical wit. "It was an interesting song to write," Fullbright says. "I wanted there to be a sense of humor — God with a gold tooth in his smile." Fullbright technically grew up in Bearden, a town on the outskirts of Okemah that's too small for its own post office. Fullbright still lives on his family's farm, which has an Okemah zip code, and it was there that he found much of the inspiration for his latest album, From the Ground Up. "[My family] had a little farm, about 80 acres — that's where I live now. The little farmhouse that I was raised in until I was about 9, that's where the title came from," Fullbright says. "Every song on this record was written in that house, and I was kind of written in that house." Though only 24, Fullbright sings like an old soul — someone with years of setbacks and heartbreak behind him. He says that soulful, experienced sound comes from '"years spent locked in his room thinking about things" and a knowledge of music's natural cues and tones. "I've been a piano player since I was a child, 5 or 6," Fullbright says. "And I can remember sitting at a piano and figuring out that a minor chord means sad, and an upbeat song means happy, and you can explain it all without having to really say anything." The people of Okemah, Oklahoma, the birthplace of Woody Guthrie, have another musical native son to call their own. His name is John Fullbright. MARTIN: Bold is the right word, I would say. FULLBRIGHT: Yeah, it was an interesting song to write. I wanted there to be kind of a sense of humor. You know, it was God with a gold tooth in his smile. You know? MARTIN: There are a number of tracks on this album with biblical references in the song title or the lyrics. Did you grow up in a particularly religious household? FULLBRIGHT: Yeah, I did. I grew up with a lot of questions that couldn't really seem to be answered. You know, why we're here; did some higher power make all of this; did he make me? And songwriting is kind of your own voice, your strongest voice, that you can use to ask yourself those questions. MARTIN: You were born and raised in Okemah, Oklahoma. What's it like there? FULLBRIGHT: I actually live in - kind of an outskirt of Okemah, in a little town called Bearden. But I went to school in Okemah. And Bearden is too small to have a post office. All my letters say Okemah, and so it's just easier to say that. FULLBRIGHT: But it's a very, very small place. And the teens, I think, is when dad's side kind of settled there; and had a little farm, about 80 acres. That's where I live now - the little farmhouse that I was raised in until I was about 9. That's where the title for the album came from, "From the Ground Up." It was - every song on this record was written in that house. And I was also kind of written in that house. MARTIN: So you're just 24 - and I'm sure you've heard this before. But you do sing with this kind of depth that would appear to come from someone who has a few more years under their belt; someone who's kind of lived through a lot of setbacks and heartbreak. Is that you? Have you gone through a lot of that? FULLBRIGHT: Well, you know, I don't have many friends. MARTIN: I don't believe you. FULLBRIGHT: It comes from locking yourself in a room, and thinking about things for a really long time. MARTIN: Is that what you do? You lock yourself in a room and just - kind of sit for a while? FULLBRIGHT: ...for a really long time. I've been a piano player since I was a child - 5 and 6. And I can remember sitting at a piano, and just kind of figuring out that a minor chord means sad, and an upbeat song means happy. And, you know, you can explain it all without having to really say anything. 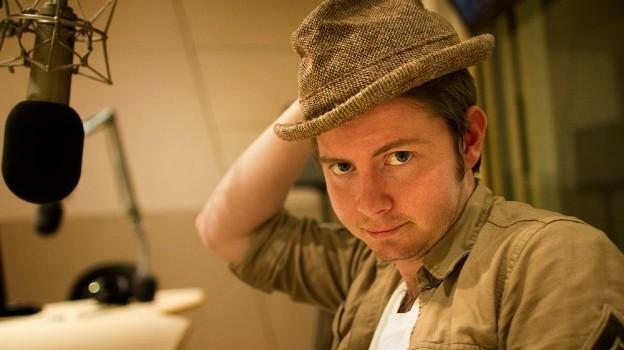 MARTIN: John Fullbright - his debut album is called "From the Ground Up." He joined us from member station KUT in Austin, Texas.John, thanks so much for talking with us. FULLBRIGHT: It was a pleasure talking to you, Rachel. Thank you. MARTIN: And you can hear more of John Fullbright's music on npr.org. This is WEEKEND EDITION, from NPR News. I'm Rachel Martin. Transcript provided by NPR, Copyright NPR. Hailing from Okemah, Okla., with a serious talent for writing Americana music, John Fullbright is often compared to Woody Guthrie. But Fullbright isn't riding on the coattails of the great folk artists who came before him; in fact, he describes himself as a songwriter, not just a musician, because he's determined to play his own music. OklahomaRock.com published a "catch-up" of Oklahoma music news of the past few weeks from Red City Radio, John Fullbright, Leon Russell, Wrathschild, Jabee, Lizard Police, Crystal Vision, Horse Thief, and much more.